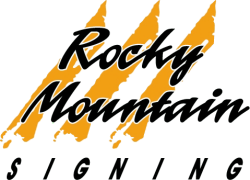 Rocky Mountain Signing Company, Inc. enforces a drug-free work environment. 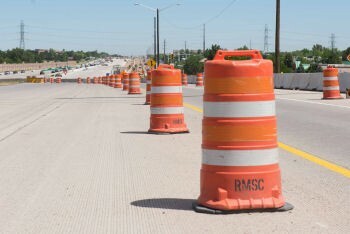 We have a zero tolerance for drugs at our company, so you know that every employee - from those designing the plans to the workers actually implementing the traffic control and signage on the roadways - is completely ready and able to get the job done right. 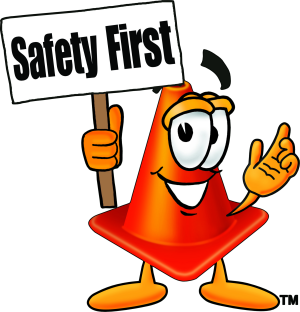 When it comes to temporary traffic control safety, we personally get involved to ensure the safest possible work environment. In addition to our drug testing policy, we hold weekly "toolbox" meetings covering a variety of safety and job related topics. We also have job specific work plans detailing the step-by-step procedures we are to follow in completing our work. Coinciding with the work plans, each task is accompanied by a job specific Hazard Analysis. These are extremely useful tools in preparing our employees not only for the task they are about to complete, but the risks associated with each of those tasks. With all the checks and balances we put in place, we are constantly striving to improve our opportunities in the area of traffic control services safety. We have safety investigations when accidents occur. If necessary, we make changes in policy and procedures to prevent these accidents from reoccurring. We are in the process of implementing safety tours, a safety committee and a more comprehensive incentive program to reward our employees that help us take safety to a higher level. When it comes to safety, we personally get involved to ensure the safest possible work environment.